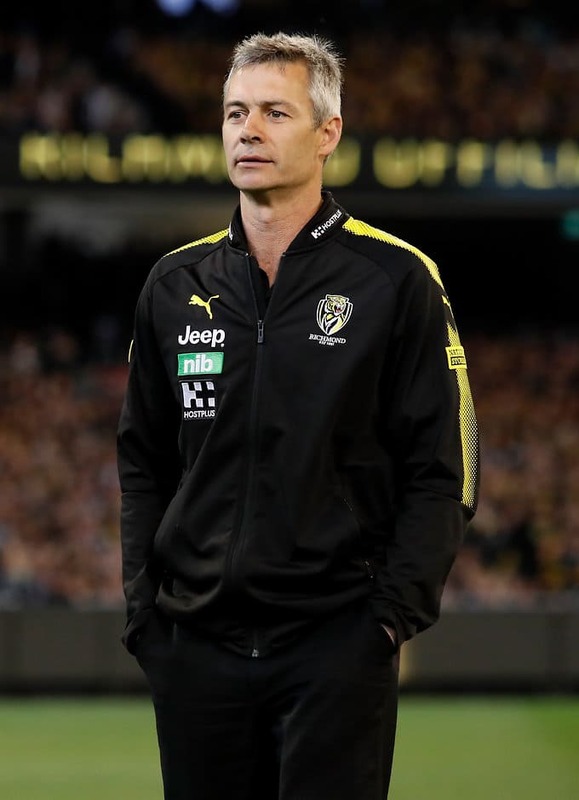 The Tigers announced on Friday some changes to Damien Hardwick’s staff for next season, but keeping Caracella, a key strategist and advisor to Hardwick, but who was out of contract, was a major priority. He is listed as an assistant coach, offensive, in the 2019 arrangement. The key addition is Adam Kingsley, the highly regarded former Port Adelaide and St Kilda assistant, and premiership teammate of Hardwick at Port in 2004, who will take charge of the midfield and stoppages. Justin Leppitsch moves from the forward line to the backline, the role he had when he first worked under Hardwick and where he made his name as a triple-premiership player for Brisbane. Leppitsch and development coach Xavier Clarke have also signed contract extensions with the club.